Panchsheel Park is one of the Posh localities and nice places to stay in South Delhi. It is home to HNI’s, Top Businessmen, Embassies and Diplomats. The place is very central and well connected from Diplomatic Area Chanakayapuri. The Colony is mainly divided into 3 Blocks namely N Block– Plot sizes 600, 800, 1200 Sq Yds ,S Block -Plot Sizes 250, 500, 800 and 1200 Sq Yds and E Block comprising plots of 307 sq Yds. Corner plots are of bigger sizes and vary from location to location. The place is very famous among Expats as being calm , quite and well secured. Panchsheel Park is the ideal place to stay because of the community around, wide roads, beautifully maintained parks, Panchsheel Club having Swimming pool. Gym, Party lawns, Tennis courts etc. 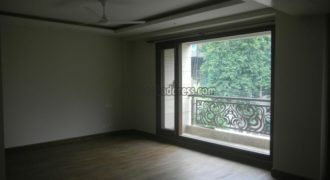 The Place is very close to Malls in Saket Select City walk, DLF Saket etc .The locality is very well connected by Yellow Metro Line -Hauz Khas Metro Station and Magenta Metro Line – Panchsheel Park Metro Station . The Colony falls into A category as per SDMC and the Land prices vary from 6 Lakh to 8 Lakh per Sq yds depending on location. 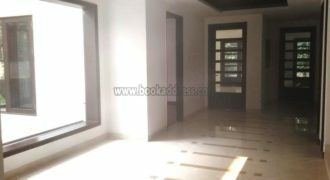 The build in 3/4/5/6 BHK Apartments/Flats/Builder floors are available for Buy, Sale, Resale and the prices are in the range of 7 Cr to 10 Cr in smaller plots and vary according to Floor, Size, Location, Facing, Parking and age of construction. The Bigger Size Apartments/Flats starts from 15 Cr and can go up to 35 Cr depending again on Floor, Size, Location, Facing, Parking and age of construction.